Car owners requiring mobile windshield replacement in Fort Worth know that the rapid pace of construction in the city spells trouble for their cars. There’s a lot of loose debris on the arterial roads in Fort Worth that can be thrown back at your car’s windshield by other vehicles as you drive. Also, there’s the danger of low lying branches hitting your windshield as you drive beneath the canopy of trees in some areas of Fort Worth. Keeping your car’s auto glass in pristine condition at all times is nearly impossible. 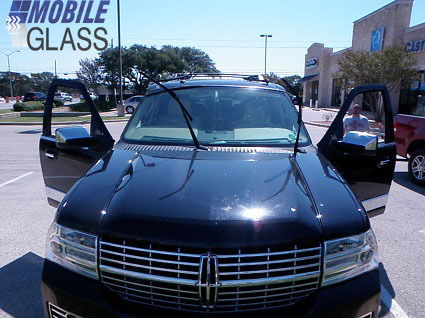 At Fort Worth Mobile Glass, we provide effective solutions to such windshield and auto glass damage in numerous vehicles every month. Our customer-friendly approach, industry-best prices and efficient service makes us the preferred service provider here. With so many ‘bests’ in our favor, it isn’t surprising that we are the acknowledged experts when it comes to Fort Worth car window repair and replacements. Mobile Glass brings effective service solutions right to your doorstep with our mobile auto glass repair and replacement service. When you need your car window repaired, windshield replaced or auto glass crack rectified, just call our customer support lines. We’ll send our technician with a fully-equipped service truck to your home or office to fix your problem. At Mobile Glass, you’ll find effective and affordable solutions for all kinds of problems with vent glass, rear glass, side glass, windshield and door glass. We also handle your electric power window glass, motor and regulator repairs with the same efficiency and perfection. Every part we use in your car during service comes from trusted OEMs* and you only pay the discounted prices that we buy them at.